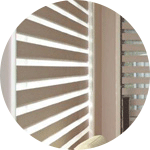 We offer an extensive and wide range of Plantation Shutters, Aluminium Shutters, Roller Shutters, Awnings, Curtains, Screens and Blinds in Sydney. We also have interior and exterior options to suit various styles and window shapes. What's more, we do custom fitting and design. Our showroom in Sydney has ample parking available so feel free to park your car and take the time to discuss with one of our shutters and blind experts. They have all the answers for your home or office needs. No time to visit our showroom? No worries, we can come to you for a FREE measure, quote and installation at the same time. 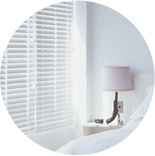 Our blinds and shutters are backed by a 20-year Australian warranty. Your window furnishings will be perfectly fitted to your window, giving you the best look and feel. Order from us without any regrets or worries. We guarantee the quality of our workmanship of shutters and blinds installation services in Sydney. Shutters for both indoor and outdoor settings. Explore our vast range of plantation shutters, aluminum shutters and roller shutters. Enhance the privacy and safety at home. 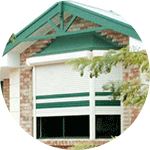 We have all your Venetian, vertical, roller, panel and cellular blind needs. Curtains will enhance any home décor. The right choice for your windows will be the curtain that adds a touch of elegance to the room. Obtain all the benefits of an awning. Awnings offer the enjoyment of the outdoors, excellent UV protection, valuable energy savings and more. Perfect for doors and windows. Security doors exceeding Australian standards, ensuring maximum security. We complete the supply and installation of window furnishings to give you peace of mind and a hassle-free buying experience. 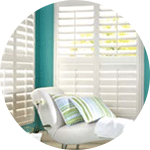 Our focus is on quality workmanship backed by a 20-year warranty on selected shutters. We install shutters and blinds for residential and commercial premises throughout Sydney. Our trained consultants respond immediately and go directly to your home to display our extensive range. Empire Window Furnishings provides many benefits for diffusing light, heat and air. They also enhance your property internally and externally. We will give you the best advice and options. Trust us to help create the best furnishing for your home or business, with the correct materials and finishes to suit your individual preference. Plantation shutters are a type of interior window dressing with wide slats or louvers set in a fixed frame. The Timber Plantation Shutter range are made from sustainable forestry timber, while the e20 shutters are made from a special polymer reinforced with an aluminium insert. Both come in a range of sizes, colours and finishes. The wide louvered shutters let in more light than shutters with narrower slats, and can tilt to adjust for different light conditions. For a long time, Southern shutters were found only in the most luxurious homes, but are now affordable for most home owners. They are a permanent window dressing and their elegant looks enhance the appearance and increase the value of the home. Offer the greatest energy-efficiency levels for internal shutters, cutting the costs of heating in winter and cooling in summer. Shutters are custom fitted to each window or space, so it can match extremely unusual shapes such as triangles, diamonds or circles. Can be made in sections that are separately controlled. Aluminium shutters are installed outside to protect windows and doors and reduce the heat entering the building. They consist of aluminium sections fitted within a frame, and the shutters can be opened or closed at will. They are the ideal shutters for outdoor areas and can even be used to create rooms or enclose balconies or patios. Aluminium is used because it offers extremely high strength for its weight. Also, because it is impervious to water, it cannot be attacked by termites. The durability ensures the shutters will give you many years of service. Aluminium shutters are available in a wide range of sizes and colours, including wood grain finishes and powder coating in a number of colours, with special colours available on request. Roller shutters are external shutters made of metal and fitted to windows and doors. They can be rolled down or up as required from inside the home, under the control of a manual winder, remote control or the Empire Drive system. This gives you total control over how much light and fresh air are allowed in, and how much privacy you want. Most purchasers of roller shutters focus on their obvious security benefits. With a wide range of colours available, they enhance the exterior appearance of your home. They also save you money on heating and cooling with their excellent insulation qualities. Our roller shutters are made of aluminium injected with polyurethane foam. This is to maximise their strength and insulation qualities. We offer different types of roller shutters including Bushfire, commercial and customised roller shutters. Security against would-be intruders, since the shutters are fitted closely to the window and are almost impossible to prise off. Protection against storms, extreme weather, flying debris and embers from bushfires. Insulation against noise, heat and cold—saving you up to 30 percent on your energy bills. 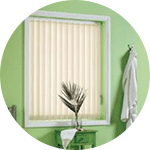 Blinds are a type of interior window dressing that usually covers the entire window. It can be opened or closed to control how much light enters the room and the level of privacy. Blinds can be made in a wide range of styles and materials. Most people are familiar with venetian and vertical blinds but there are many other alternatives such as faux wood window blinds. 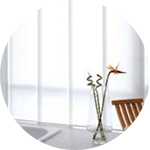 The Sheer Elegance blind consists of a translucent material with horizontal strips of opaque fabric that can be opened or closed at will. The Illusion is made of a lightweight fabric that hangs between two layers of translucent material and is raised or lowered to control the light. The Roller blind is now available in modern sheer materials as well as the more traditional opaque or blackout fabrics. Venetian and vertical blinds both lend elegance to a room, along with excellent light control. Extensive variety of styles, materials and colours, so you can choose one that suits any room. Long-lasting and easy to maintain and keep clean. Perfect control over how much light is allowed into the room. Choose roller blinds, venetian blinds and vertical blinds. Vertical Blinds are an economic choice for all homeowners. If you are looking for window blinds that allow you to control the amount of sunlight going into your home, vertical blinds are a great solution. An economical choice, they are inexpensive and easy to use. You can easily adjust the cord to control the amount of light going in. This blind is suitable for use in offices, garages and workshops. They come in a wide range of colours and materials. Fabric blinds allow light in while maintaining your privacy while PVC blinds block the sun partially or completely. This is the most affordable and reasonable light control solution that doubles as home decoration. Easy to maintain, you can simply clear them of dust and debris. Vertical blinds for big windows and doors also saves you the money you would use to buy drapes. Venetian Blinds is created from a unique aluminium alloy. Decorative and functional, these blinds are the best window furnishings in the market. We have a vast array of choices for colours and height adjustment capabilities. These blinds are a home and office favourite due to their ease of use and low-maintenance. They are strong, durable, UV stabilised & suitable for wet areas due to its non-absorbent characteristics. Venetian blinds are popular because they are more affordable compared to others, easy to install and durable. Venetian Blinds allow you to fully control the amount of light going into your home while still giving you complete privacy. They are low maintenance since they don't require frequent cleaning. Lightweight and durable, they present a cost-efficient solution for interior house decoration. Roller blinds are the best alternative to Venetian blinds. These blinds give you a wide variety ranges of colours, style and textures to choose from. There are two types: motorised blinds and non-motorised blinds. 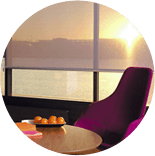 Roller Blind fabrics are designed specifically for the strong sun and damaging ultra violet light, making them extremely durable and long lasting. Our fabric collection incorporates a vast array of sheer, translucent and blackout fabrics in both plain and textured finishes. Motorised blinds combine the flexibility and convenience of automation for enhanced internal comfort and control. Roller Blinds are available in different styles, types, colours and materials to enhance the appearance of any home. These versatile blinds give you complete privacy for your home. They are easy to install and simple to use. Panel Blinds offer a contemporary take on traditional window fashions, featuring sleek lines and minimalist design. For a touch of modern sophistication, Panel Blinds offer a contemporary take on traditional window fashions, featuring sleek lines and minimalist design. Panel Blinds evoke understated elegance in any home. Panel Blinds open to the left, right or center, making them the ideal solution for sliding doors or large windows. When opened, the panels stack neatly behind each other. Sliding them closed creates a complete fabric display used to control privacy and light filtering. Perhaps the best feature of the Panel Blind is the great assortment of fabrics and colours available. Panel Blinds give you the full control on the amount of light going into your home. They give your room a more elegant and stylish look than other types of blinds. They don't require much effort for maintenance, are easy to clean and durable. "Do I choose shutters or blinds?" Everyday, homeowners and commercial building designers face this problem. We have a simple 5-point checklist that will help you through this dilemma. Are you trying to avoid the light of day? Do you need a total blackout for sleeping at night? Do you require a product that provides privacy both during the day and at night? All of these queries need to be addressed so you can select the best product for your window covering requirement. Window coverings can help immensely in keeping your home cool in summer and warm in winter. Our e20 Adjustable louvered Shutters range insulates 70% more than timber. e20 Adjustable louvered Shutters are recyclable and hypoallergenic. A window covering can be the main attraction of a room. By selecting shutters or blinds, you can have furnishings that can integrate seamlessly with other decor in your room. 5. Is Noise A Problem? If your windows face a busy area, sound can be an issue, especially at night. University tests have proven that roller shutters have an overall affect in the reduction of noise levels from outside the home. Light and ventilation can be adjusted to create a pleasant, softly lit atmosphere. Our installers are professionally trained to the highest standard and have extensive knowledge in the industry. Fully insured and licenced, our blind and shutter experts are required to undertake rigorous training. Installing custom-made products in your home is stress-free thanks to our team of professionals who understand every aspect of installation. 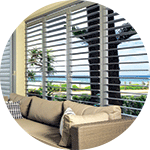 ✓ Sydney’s experts in shutters and blinds. ✓ Quality shutters and blinds. ✓ Fast installation turn around. Opening and closing is an easy operation, one blade touch operates all. The e20 Southern Shutters range use valspar water-borne paints and primers designated “Clean Air Formula”. These are non-toxic and low VOC with low odour output. The exterior coat provides a combination of anti-termite and anti-bacterial properties perfect for the home and family. “I am writing to thank you for the fantastic service that you provided us over the last two months. From the initial consultation late in October to the complete installation on Tuesday exactly two months passed. The salesman explained that we were right on the deadline for installation prior to Christmas and true to his word, the installation took place on the Tuesday before Christmas. Brian, the installer, was very professional and thorough in his work. In his initial visit to finalise the exact measurements of our windows, he clearly explained how he'd adapt the shutters to fit, given the non-standard situation in several places, which put us at ease. “I wish to commend Empire Window Furnishings from the very first phone call right through to my installation. I originally ordered my shutters a couple of months prior to going ahead with the order due to unforeseen circumstances. I was hesitant to go back to Empire Window Furnishings thinking I had wasted their valuable time as remeasure and quoting would be involved. This was not the case at all, my original quote and measurements were all kept on file and reinstated the second I wished to go ahead with the order. "It has been a pleasure dealing with you and the staff at Empire Window Furnishings. The plantation shutters arrived well within the time frame quoted. All my dealings with all the staff were very rewarding experiences. My requirements were a little outside the norm and the installers were very obliging in trying to satisfy me. They arrived on time for the installation, were clean and efficient in fitting the shutters. They look amazing and I am very happy with the overall results. Really appreciate you working outside the square to accommodate my requirements. Many thanks to all the staff." "We were introduced to Empire Window Furnishings through a stand they had set up at Warringah Mall. The team members were extremely helpful that day and everyone we've met has been very professional to work with (quoter, measurer, installer and of course the office staff). We replaced curtains that were over 30 years old, so to say our new plantation shutters look fantastic is an understatement! I would highly recommend Empire Window Furnishings. They simplified the process for us and the end product is exactly the upgrade we were hoping for." “When my family and I now enter the lounge room or kitchen we are amazed at the transformation because of the shutters. There is far more adjustable light and now both rooms appear more spacious and relaxing. I would happily recommend Empire Window Furnishings to anyone wanting a top quality product, professional and considerate sales and service and a well-designed room. Or we can bring our mobile showroom to you.